“Clearly we aren’t meeting the need,” Housing Commissioner Braverman tells the Board of Estimates. Mayor Catherine Pugh and the Board of Estimates today approved the allotment of $10 million in future bond money for affordable housing. 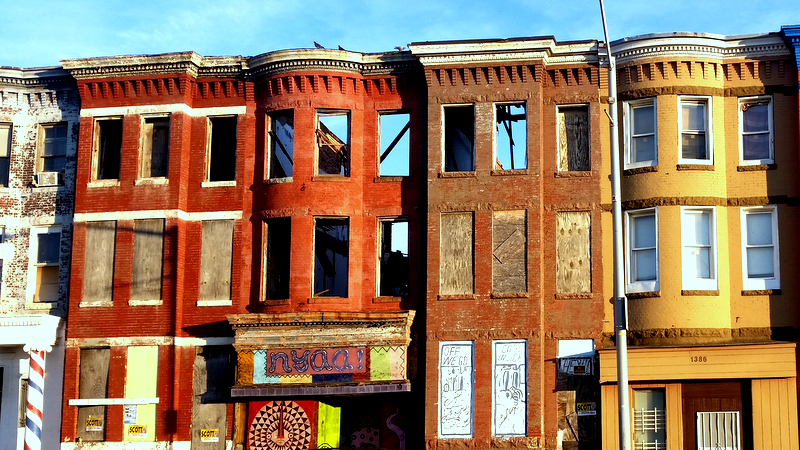 The money, which would start flowing in the summer of 2019 and continue through mid-2021, is higher than originally contemplated by the Pugh administration, but still far short of the $40 million sought by the Baltimore Housing Roundtable. During her 2016 election campaign, Pugh said that she supported the Roundtable’s 20/20 Plan to float $20 million in bonds to create affordable housing and $20 million to demolish vacant rowhouses. As recently as November 8, Pugh said she supported “the vision” of the 20/20 Plan, even while housing activists complained that Budget Director Andrew Kleine had refused to meet with them over the summer to assure that the money was in the upcoming capital improvement budget. In rapid order, Kleine resigned (for unrelated reasons, he said) and Mayor Pugh increased the amount of bonds going for affordable housing construction from $6 million to $10 million over two fiscal years (2020 and 2021). 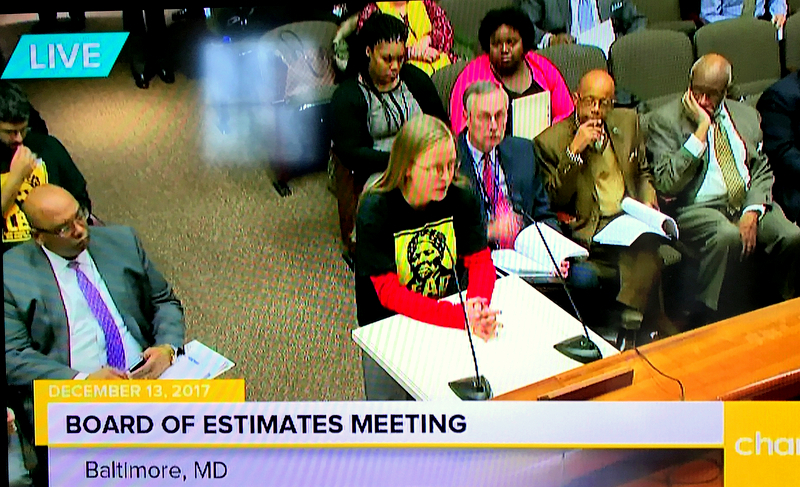 Two Housing Roundtable advocates implored the spending panel to increase the housing allotment as about 35 other proponents sat in the audience wearing black T-shirts emblazoned with an image of abolitionist Harriet Tubman. Housing Commissioner Michael Braverman agreed that the city doesn’t have enough affordable housing. By defining affordable housing “broadly,” Braverman said he was referring not only to new housing constructed for low-income families, but the preservation of existing moderate-rent housing and “keeping seniors in their homes” through loan programs and subsidies. City Councilman Bill Henry has another idea to kick-start affordable housing construction in Baltimore. Last week he submitted a bill to raise taxes on property sales and transfers to provide $10 million annually for affordable housing. Raising the recording fee by 20% and transfer taxes by 17% would provide a sustainable revenue source for the city’s Affordable Housing Trust Fund – a fund approved by the voters whose cupboards have been bare for years. Henry’s proposal is expected to face opposition from real estate interests and, probably, from within the Council itself. Mayor Pugh did not allude to the 20/20 Plan today, but said she pressed for $4 million more for affordable housing at the November 27 Board of Finance meeting that she chairs. The money was drawn from $51 million slated for “community and economic development,” according to the capital budget. The largest single spending category – $65 million – is to go for upgrades to the city’s information technology systems, renovation of municipal buildings, and park improvements in 2020 and 2021. Overall, the two-year general obligation (GO) bond program totals $160 million. “Just a few months ago, a house fell apart onto the sidewalk a block from my house,” said a Roundtable member. The funds must now be approved by the Baltimore delegation to the Maryland General Assembly. They will next go before the City Council and then to voters on the 2018 general election ballot. Pugh is calling for an increase in Baltimore’s annual bonding authority from $65 to $80 million a year in keeping with a revised city debt policy for capital projects. Greg Sawtell, a resident of Curtis Bay, said the Housing Roundtable had tried to persuade the mayor to earmark the $15 million a year of new bonding authority for affordable housing. Combined with the $5 million a year allocated by the Board of Finance, the 20/20 Plan’s financial benchmark would be met. “But it wasn’t to be,” Sawtell said.